Active database applications require the classic cycle of analysis, design, prototyping and implementation. During analysis and design steps of the information system engineering process, modeling behavior is an important task. This task is both essential and crucial when information system is centered on active databases, which allow the replacement of parts of application programs with active rules. For that reason, the specification of business rules during analysis and design steps becomes an actual requirement. Business rules ensure the well-functioning of information system. They are descriptive (integrity constraints) or functional (derivation rules and active rules). 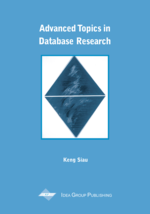 To relieve programmers from using either traditional or ad hoc techniques to design active databases, it is necessary to develop new techniques to model business rules. These techniques have to enhance the specification of dynamic aspect through a high-level description language able to express precisely and completely rule semantic. In this chapter, we propose a uniform approach to model business rules (active rules, integrity constraints, etc.). To improve the behavior specification we extend the state diagrams that are widely used for dynamic modeling. This extension is a transformation of state transitions according to rule semantics. In addition, we outline new functionalities of Computer-Aided System Engineering (CASE) to take into consideration the active database specificities. In this way, the designer can be assisted to control, maintain and reuse a set of rules.